“Cannabis Abuse” is one of many conditions defined by the DSM under “Substance Use Disorder.” So how do doctors distinguish a Substance Use Disorder from medical use of a drug? The new O’Shaughnessy’s has a piece about Zenia Gilg’s lawsuit challenging the validity of marijuana being on Schedule 1. The federal government’s rationale was explicitly stated—it all comes down to potential for “abuse” as defined by The Diagnostic and Statistical Manual of Mental Disorders. 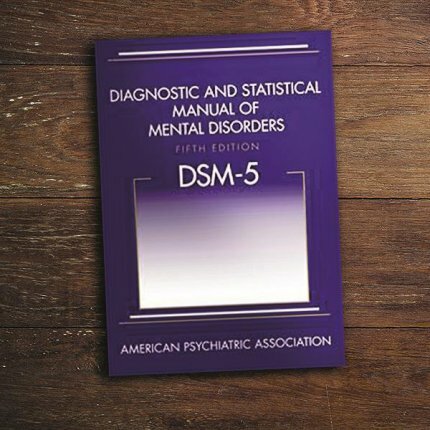 The DSM, published by the American Psychiatric Association, is often called “The Bible” of the profession. It assigns a definition and a number to every ailment of the mind and spirit for which psychotherapists provide treatment, MDs prescribe medication, and insurance companies reimburse. The double purpose of the DSM is to endow the field of Psychiatry with a facade of rigor while facilitating billing. The first DSM, published in 1952, listed 106 disorders, including homosexuality (which was removed from the DSM list in 1975). By increasing the number of disorders and the broadness of the definitions over the years, the DSM authors—establishment psychiatrists with drug-company funding—have increased the number of Americans who qualify for prescription drugs (and, fortuitously, for medical marijuana). The revised third edition, published in 1987, listed 292 conditions. The DSM-IV made more inclusive the definition for Clinical Depression, just as Eli Lilly and Pfizer were preparing Prozac and Zoloft for the market. DSM-IV also created a handy checklist of symptoms for each disorder, enabling the harried practitioner to make a quick, easy diagnosis. Unfortunately, tolerance and withdrawal are not the only responses to marijuana that condemn the herb to Schedule I status. “Prescription medications can be used inappropriately, and a substance use disorder can be correctly diagnosed when there are other symptoms of compulsive, drug-seeking behavior,” states the DSM. If you try marijuana and find that it agrees with you, you’re likely to use it more frequently than originally intended. How is that evidence of pathology? If a parent (or boss, counselor, or other authority figure) says marijuana is dangerous and you must stop using it, you may promise to stop. But then you’re with your friends and you’re re-convinced that it’s harmless (and even helpful), so you resume. That is evidence of pathology, according to the psychiatrists’ Bible. An unslanted definition would be disobedience. That is clearly a result of prohibition. The DSM authors sneak intense into the sentence like a virus. Craving (according to the English language) can be intense or mild. The craving for cannabinoids is very mild compared to the craving for, say, opiates. For many people it’s milder than the craving for coffee. And of course you’ll be “craving” more when you’re around people who are indulging. Duh. Meaning: if people who disapprove of your cannabis use decide to distance from you, it’s your fault and evidence of pathology. Who decides that a given extra-curricular is “important?” Not the patient, obviously. Some people are like Ferdinand the Bull, they’d rather smell the flowers than play football. Definitely a sign of stupidity. A drug can simultaneously exacerbate a problem and produce benefit. Let’s say you have chronic bronchitis, PTSD, and insomnia. You have a nightmare and wake up in a sweat. You smoke some marijuana, which makes you cough—but restores equanimity and makes sleep possible. Reasonable choice or evidence of pathology? This article was reprinted by Project CBD with permission. It may not be reproduced in any form without approval from the source.